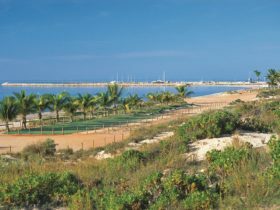 The Ningaloo Centre, situated in the town of Exmouth, is a research, tourism, education and community hub. 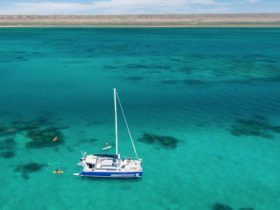 The Centre acts as an ideal starting point for your adventure through Exmouth, and its proximity to the incredible UNESCO World Heritage-Listed Ningaloo Coast positions it as the ultimate way to begin your journey. 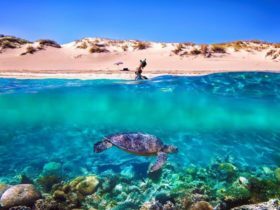 Located in the main foyer of the Ningaloo Centre is the Ningaloo Visitor Centre, where knowledgeable staff can help you to make the most of your visit to the region. 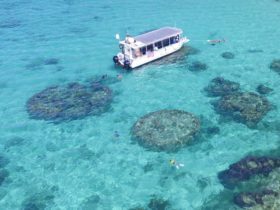 Deeper within the Ningaloo Centre, you will find the Interpretation Centre, where a pristine 55000-litre aquarium houses an abundance of marine life unique to Ningaloo Marine Park. 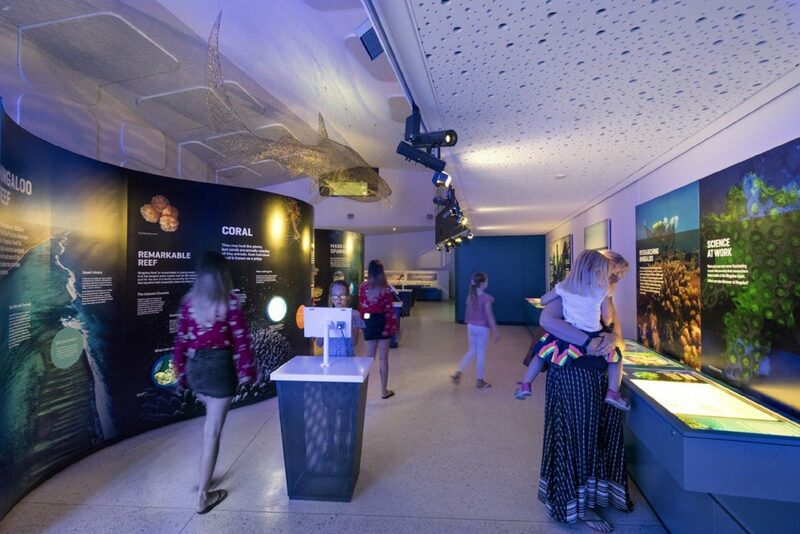 Alongside the aquarium, the Interpretation Centre hosts a variety of displays through which you can explore the fascinating ecology of Ningaloo Reef. Within the Centre are three visitor galleries, which serve as a perfect introduction to the region. 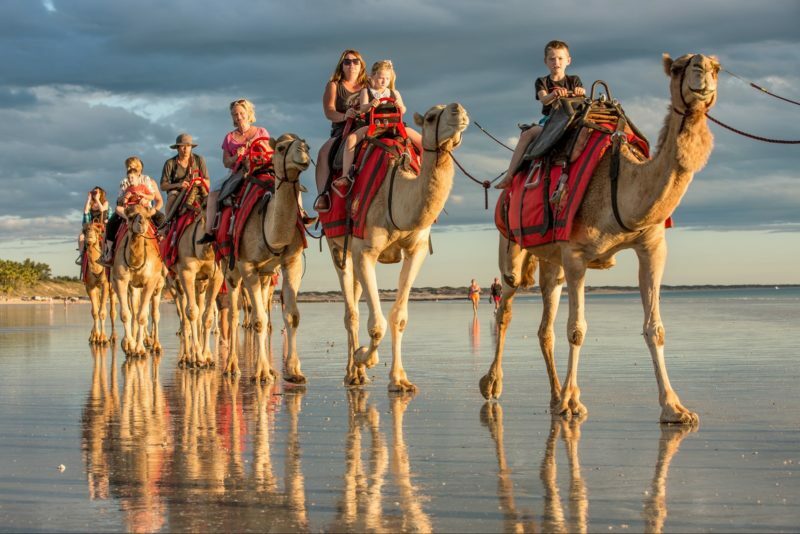 The Ningaloo Centre is a priceless resource for visitors and locals alike. 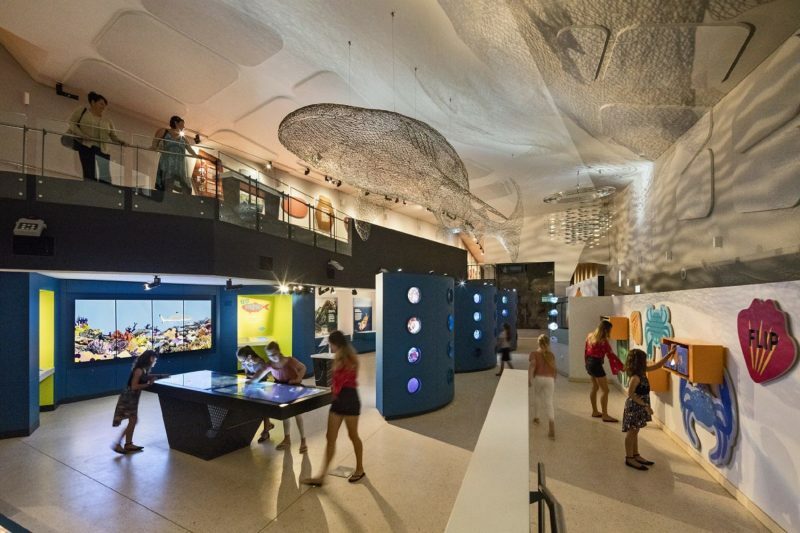 With the local knowledge of the Visitor Centre staff and the reams of information available throughout the Interpretation Centre and galleries, the Ningaloo Centre will allow you make the most of your time in the Ningaloo region.